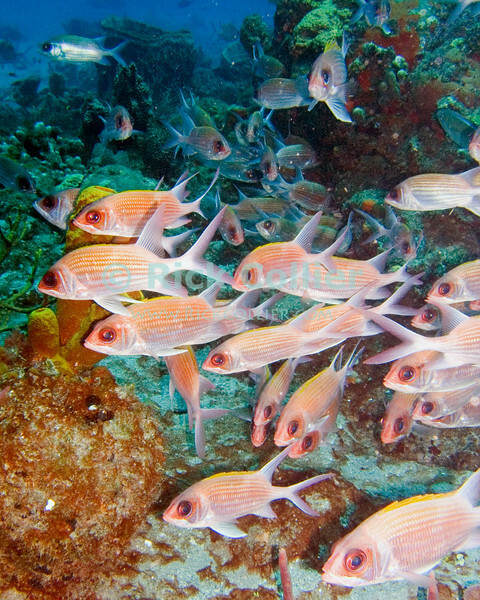 A large school of squirrelfish streams through a cut in the reef. St. Eustatius (Statia), Netherlands Antilles. "St. Eustatius" "Saint Eustatius" Statia Netherlands Antilles "Lesser Antilles" Caribbean SCUBA dive diver sea bottom sea floor sand reef coral rock rocks fish school squirrelfish "squirrel fish"